Please join us in supporting our Northern California community in their time of need. Our Camp Fire Aid Fundraiser will take place at all Zachary’s locations on Thursday, December 13th. We will contribute 15% of our dine-in and take-out sales to the North Valley Community Fund. 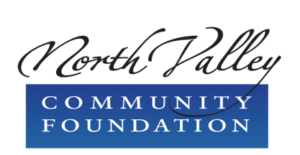 NVCF is based out of Chico, California and currently at ground zero for relief efforts. They not only collect funds to distribute among the community and shelters, they also organize volunteer efforts. They are a home-grown local organization that does a lot of work year-round in the community and have stepped up even further during this crisis. We could not have imagined the devastation these fires have brought, but we can join together in helping those hurt by them. Please join us as we come together to support our fellow Californians in need. « THANK YOU FOR MAKING ZACHARY’S FIRST EVER ART SALE A HUGE SUCCESS!